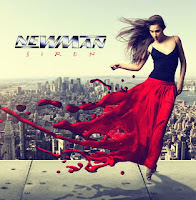 Rock & Metal 4 You: CD-Review: Newman - "Siren"
In the last few days we've to deal with a real flood of AOR releases. For sure, this is no wonder, because those records fit very well to the summertime with their feel good vibes. After James Christian and Robin Beck we have another very consistent AOR musician in the line: Steve Newman. Since 1997 this guy produces one album after another, so with "Siren" he finally offers his 11th piece of work. Let's see if we find any innovations. I think most AOR lovers have heard from Newman before. As I said he released his albums in regular intervals and they delivered always solid work - nothing mindblowing or outstanding, but still good and quality work. "Siren" is no exception of that. We hear nothing really new or innovative, but nevertheless Newman shows his skills again, when it comes to catchy melodies and hooks. "Siren" is some kind of double-edged sword to me: especially the first 5 songs are some of the best tracks Newman has ever written in his whole career: the fantastic opener "Scar Of Love", "Had Enough", the ballad "Arcadia" or "Feel Her Again" are all potential hits with remarkable melodies and choruses. On the other hand there is the second half of the album, which resorts too often in the clichee box of AOR with just standard fare. That means more average melodies, which are very similar to each other and you heard them a thousand times before ("Some Kind Of Wonderful", "Siren"). "When It Comes To Love" breaks the chains, because it has a more darker mood and sounds a bit different. "Crossfire" has a playtime of seven minutes and this tune feels way too long to me, because there is not much varitey in the song structure, which would keep the whole thing interesting. This is something, which can be transferred very easily to the whole album. With an hour playtime "Siren" felt a bit too long to me, because the musical spectrum is not so varied. Thinking about the last three tracks I can say again they are very solid and melodic, but can't keep up with the first half of the album. What I liked about the record is the voice of Mr. Newman: it's very raspy, so it gives many songs a more rockin' edge in the overall polished AOR concept. Yeah and speaking about this: yes you have the traditional keyboards here, the soaring guitars (which I really like - Newman is a gifted guitarist) are there and of course a production without many edges. Modern influences? Forget about that! What you get is typical 80's AOR, which is played and presented very well. Finally I can say Newman captures a bit of that summer-good-time-feeling with "Siren", especially in the first half of the album. The rest isn't bad, but also not on the high level I hoped for. 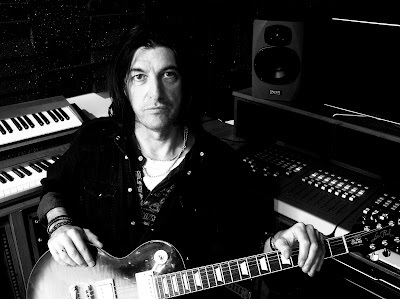 That is due to the fact that I like it very much if AOR musicians dare to try something new and adding something fresh to their sound (have a look at Robin Beck). This isn't the case here, but I think fans of that old-school-style will be very happy with this album. To all AOR lovers out there: I know you've much releases on your list these days, but if you like this style "Siren" is worth finding its way into your AOR collection!